In preparation for some summer camping a bit off the beaten path, I installed a CB radio—actually a package deal including a Wilson antenna, an SWR meter and a Teraflex mounting bracket. The radio is a basic Uniden Pro 510XL. Package purchased from Right Channel Radios. Good folks there, highly recommended. 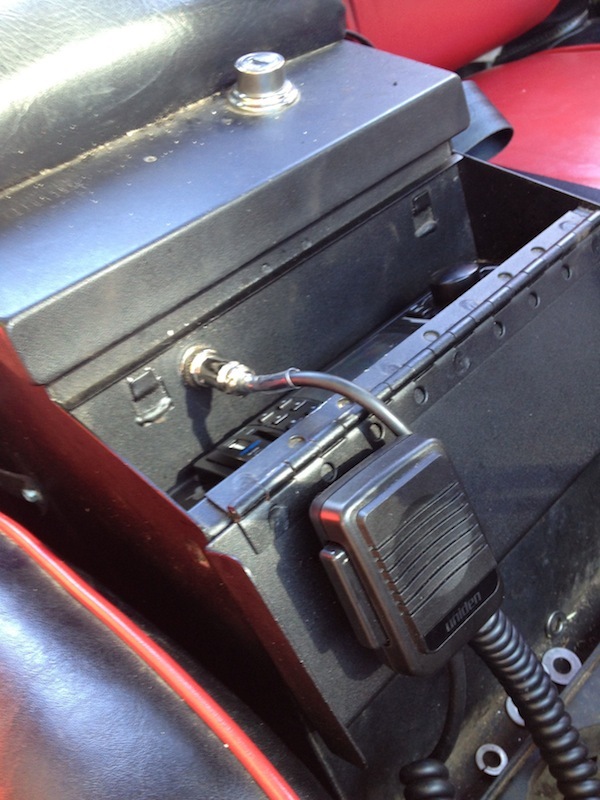 For a couple years I had the radio mounted to the back of my Tuffy center console. I'd disconnect it and store it in the console when not in use. Unfortunately, the kids climbing in and out of the Jeep led to a broken antenna, so the CB wasn't being used. So, when I installed a new stereo in the console I figured it was time to fix the CB issue. Ordered a new 5' Firestik FS from Right Channel and got to work. Oh, and I also decided to use a quick-disconnect from now on to save my gear from my kid! 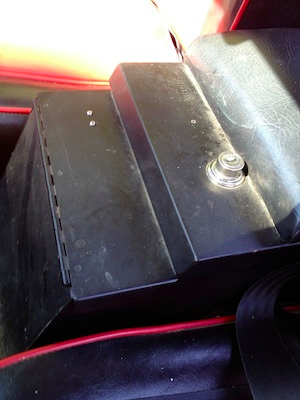 This time I wanted the CB mounted inside the console—but I didn't want to have it open when driving so had to find a way to have the mic on the outside. 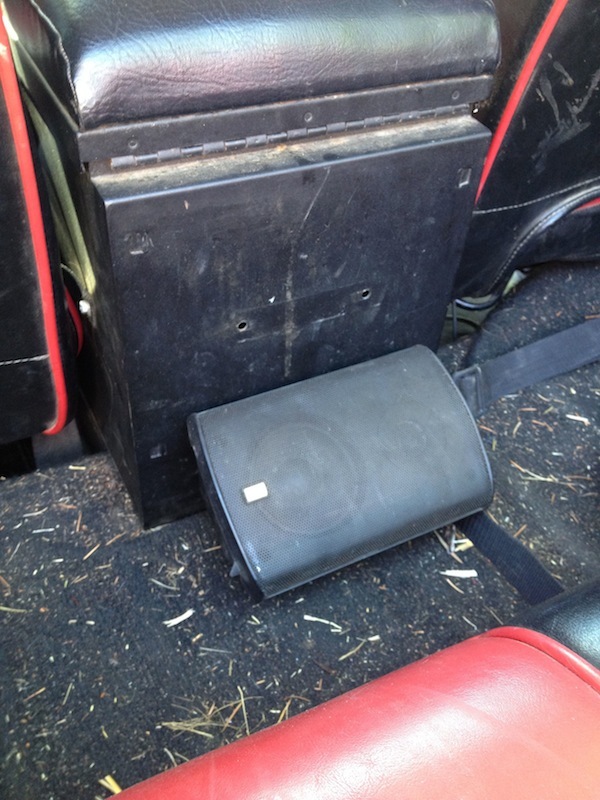 I'd seen something on JeepForum about making an extension to run from the radio to the console so I thought I'd try that. 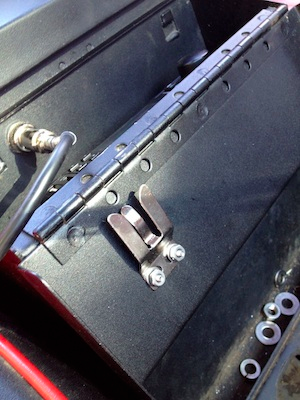 A quick trip to Radio Shack and I had the two connectors necessary to plug into the radio itself and, through a hole drilled in the console, terminating in a connection on the console. 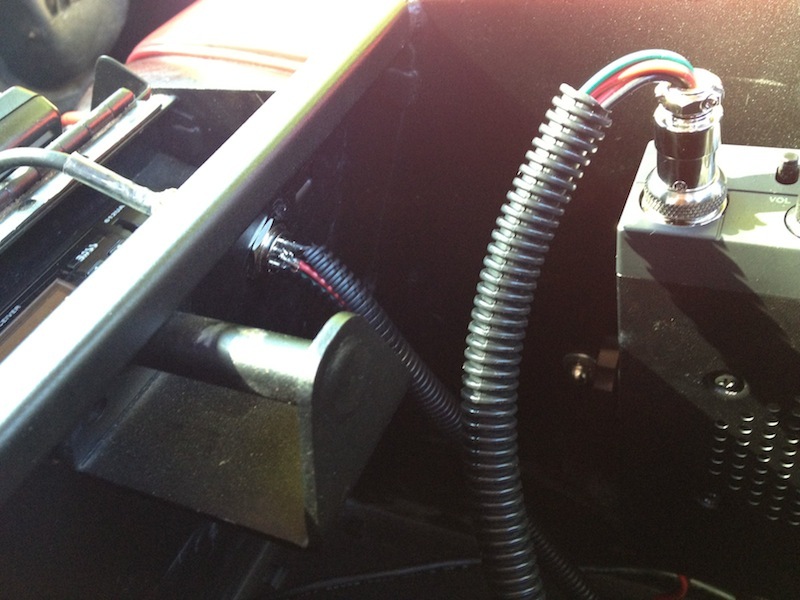 I located this new connection point inside the secure part of the console that encloses the new stereo. That way I can just plug the mic into the console itself with the lid closed. 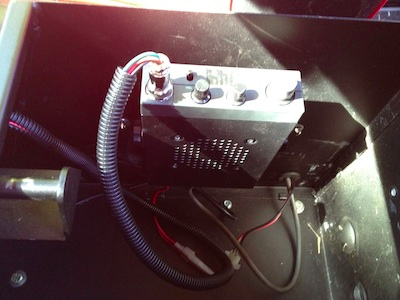 I also had to drill a hole at the bottom of the console to insert the antenna and power for the CB. I put a rubber grommet in that hole to protect the wires. You can see where the come in in the picture above. On the swing-out lid covering the stereo I attached the clip to hold the CB mic. I also figured that, with the CB inside the console, I wouldn't be able to hear the speaker. So I mounted an old marine-grade exterior speaker to the back of the console and ran the wire in (terminating it in a 1/8" mini-plug for the CB that I also picked up at Radio Shack. Now I can hear the CB very well. When the whole thing is closed and secured, except for that speaker, one can't tell there's a stereo, CB or mic connection inside.